← How to turn “1st January, 2017” into #Excel recognizable date? This is a continuation of the previous post – How to turn “1st January, 2017” into #Excel recognizable date? 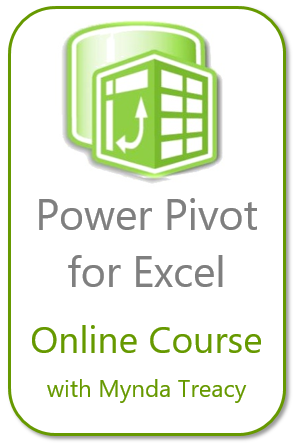 …using Get & Transform (better known as #PowerQuery). 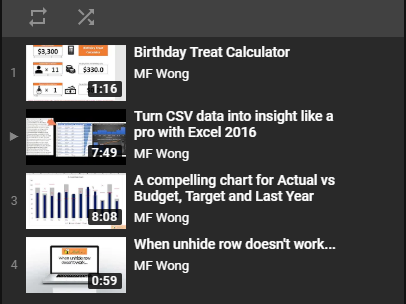 Note: All screenshots and steps in this post are based on Excel 2016. The ribbon of Power Query for Excel 2010/2013 may be different a bit… but the steps and interfaces should be more or the same. You may download a Sample FIle – Reversed Text Date to Number Date to follow through. Be curious! Let’s explore a bit by clicking the “ABC 123” icon on the column header “Date”… wow, there is a list of different data type. It looks promising! So I clicked on it and selected Date hoping for the magic instantly. Apparently, Power Query fails to recognize this kind of “date” too. Don’t be frustrated. We need just a few more steps to achieve our goal. The Date is now split into Date.1 and Date.2. And Power Query recognizes Date.2 “January 2017, February 2017, etc…” as date and automatically changes it to date… Well, this is helpful most of the time but not in our case here. So we need to undo this “Changed Type” from “Applied Steps” under Query Settings. Note: After removing “Changed Type”, both columns are recorded as “text” indicated by the “ABC” icon on column header. Now the “Transformed” date is ready for changing type as it’s now in a text pattern recognized as date by Excel. 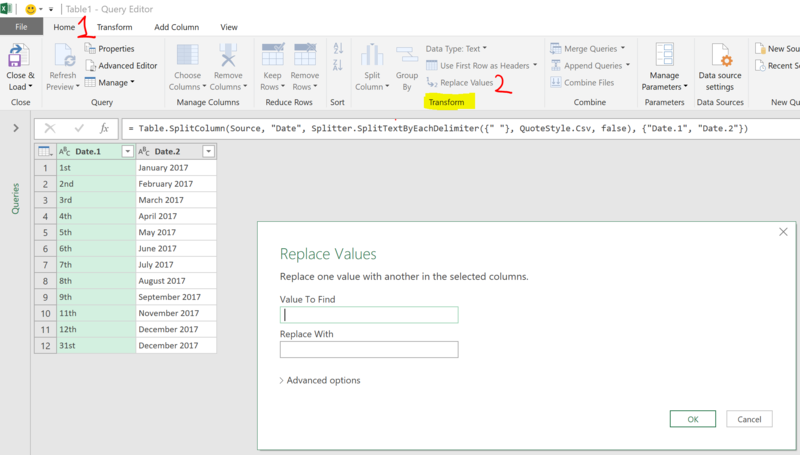 With Power Query, we can say GOODBYE to repetitive, tedious, and probably boring tasks. You may wonder why we need to split day and then combine it with month and year later. Why we need such extra step? Simply because one of the replacing values “st” also appears in “August”. If we do not split day from the month first, “August” will become “Augu” after replacing “st” and it results in error of all dates in August. Try it and you will see. Disclosure: I earn a small commission if you finally take the course via my site. This entry was posted in Power Query and tagged Data Cleansing, Date. Bookmark the permalink.